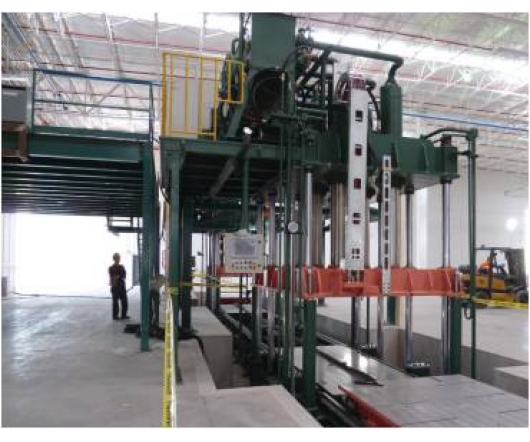 ●Shuttle mold by sliding cart with smooth and precise movement. ●Down stroke design with lower working height. ●Special tilt angle for different mold design. ●With separate operational boxes secure safety. 1. 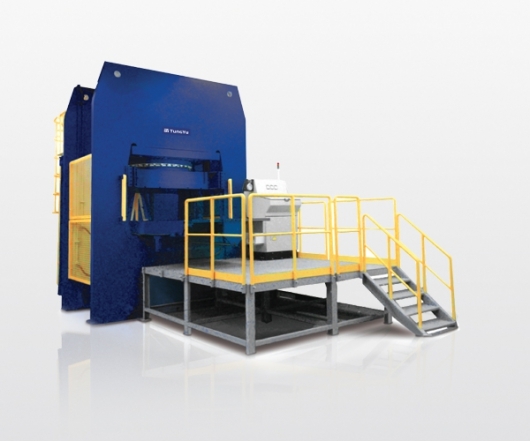 Capable for multi-layer production simultaneously to increase productivity and reduce the footprint and energy consumption . 2. Suitable for : rubber, composite parts, carbon fiber . 3. 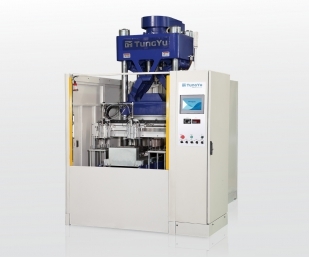 Multi-layer design with air cylinder for mold movement to increase productivity. 1. Down stroke design with lower working height. 2. Double stations with the sliding carts increase the productivity. 3. Sliding carts with position pins to secure working safety. 4. All heating wiring, vacuum line, air hose, and electrical cable are protected by track during mold sliding process. 5. Mechanical structure depends on products size and production . 4. Transparent window to check remaining material in the material barrel. 5. Safety protection: light curtain, dual hand control. 1. 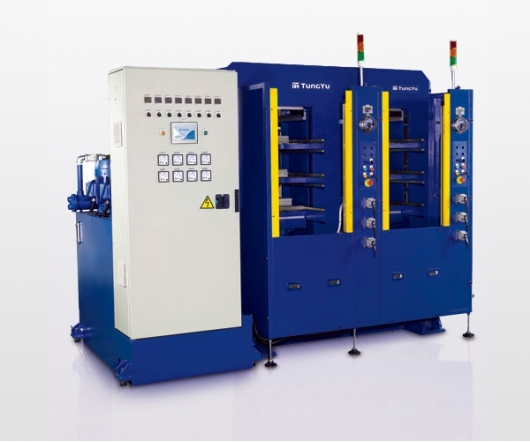 To precisely control the forming temperature, the machine designed with independent ceramic heating system for quick materials preheating. 2. 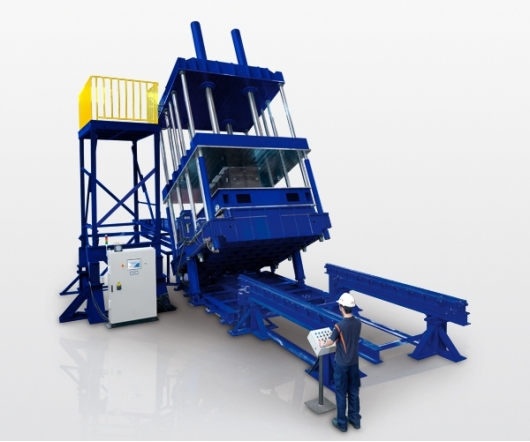 Equipped with auto-loading & unloading system is able to provide incredible productivity with lowest labor cost. 3. 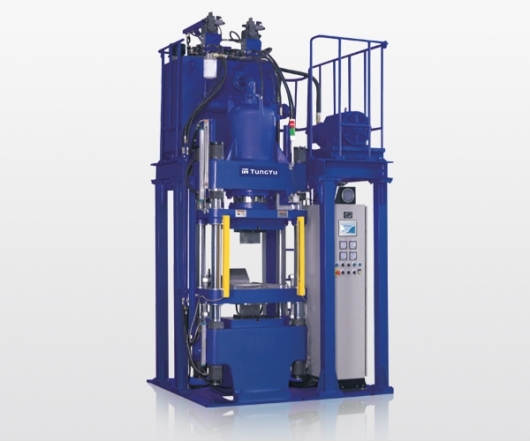 With rapid heating and cooling system to meet the different forming process from customer.